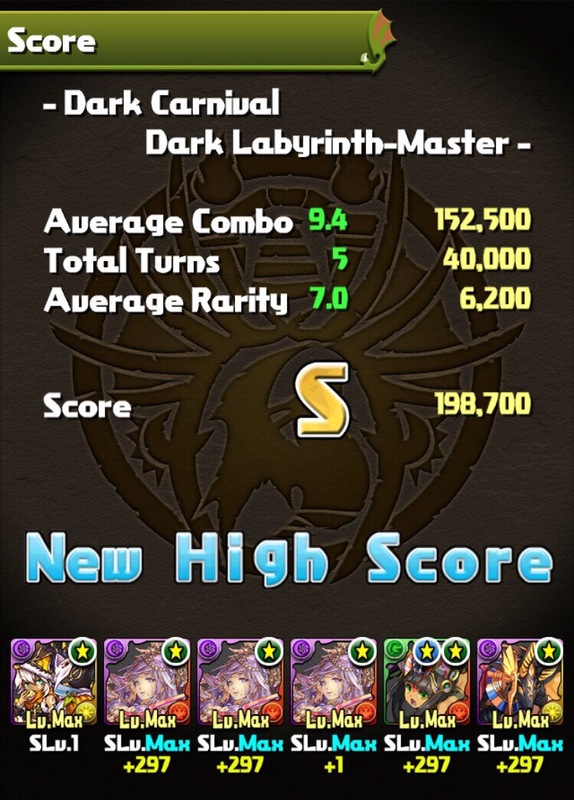 I never thought I’d get it, mostly because I never thought I’d try, but Ra Dragon is so overpowered I just went for it. There’s the risk of getting skill bound by LIza and Goemon is always sketchy, but Okuni makes Kagutsuchi quite easy. I’m thinking Zaerog∞ instead of the third DKali would be more effective as the skyfalls could pad the combo count and there’s only so much movement time you need. Although having 19.5 seconds every turn would be pretty sweet. 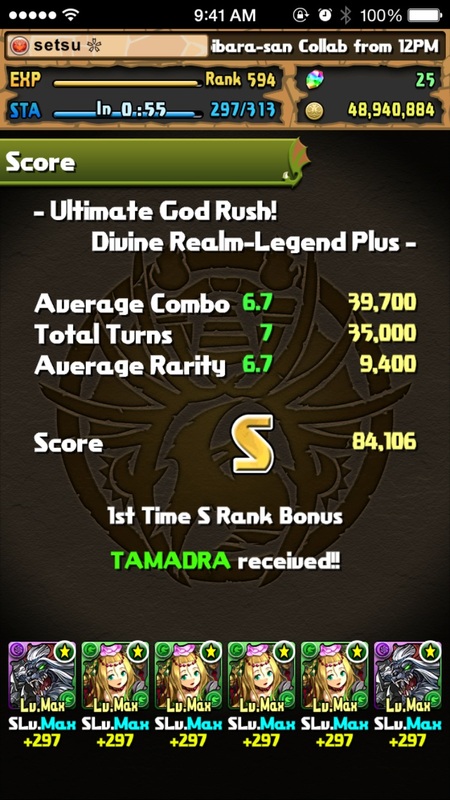 I’ve been slacking off this week (it’s been hard to get motivated to play when almost nothing is going on), but I decided to finally get this S rank before I forgot about it. Thoth & Sopdet made it ridiculously easy. 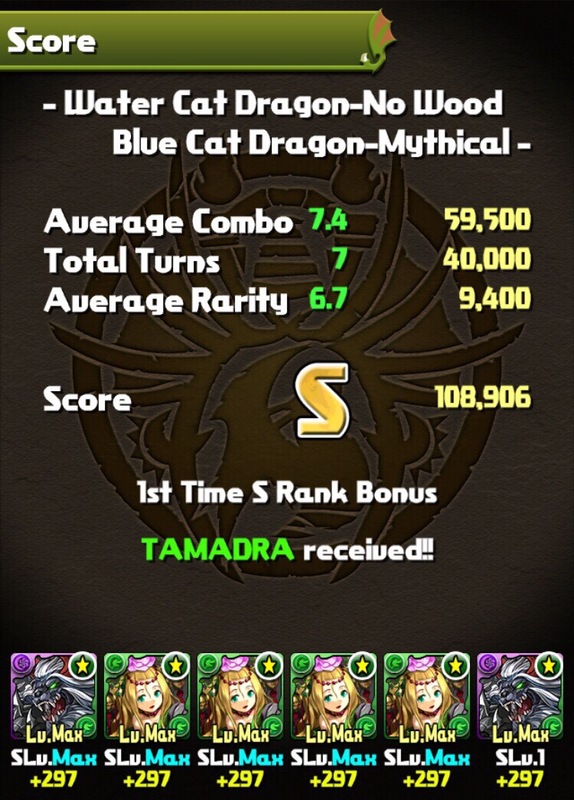 I couldn’t find an Awoken Anubis on my list; did everyone jump to Yomi in the short-term? I need more time extends. That way I can feel like I can actually combo. No wood? Please. Meimei goes where she pleases. In the excitement of the past week or so, I’d forgotten that I’d done this. I didn’t run this dungeon once outside of what was needed for the stone.